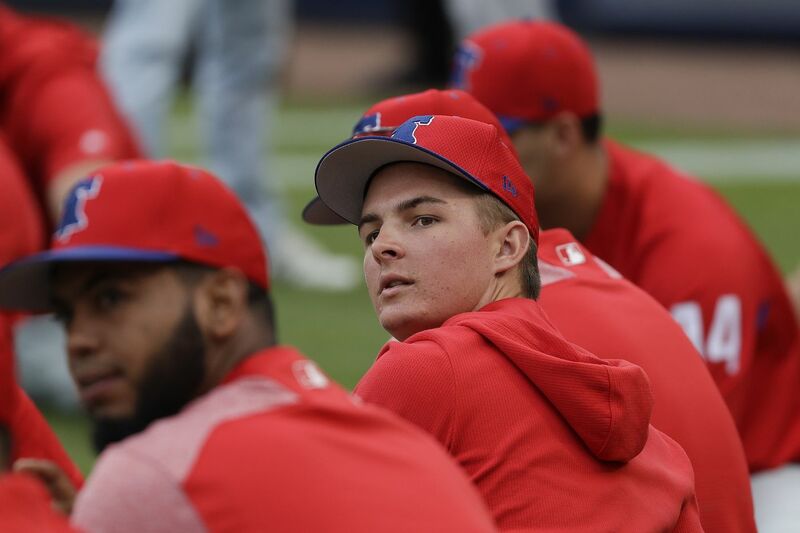 Former first-round pick Mickey Moniak received a large bonus when he signed with the Phillies. Most of his fellow minor leaguers, however, did not. When Major League Baseball asked states last week to prohibit wagers on spring training games, Nevada basically told MLB to get up the street. Pennsylvania, however, agreed to the restriction, and one of the nation’s leading sportsbook houses is not one bit happy. Baseball is concerned that spring contests could be compromised more easily since teams often are more interested in player development and training than in winning. One thought is that young (and lightly paid) baseball prospects are more vulnerable to nefarious schemes. ESPN first reported Nevada’s response to Major League Baseball, which was similar to what Asher had to say. Asher’s company runs sportsbooks throughout the country, including Nevada, Pennsylvania, and the Ocean Resort and Tropicana casinos in New Jersey. “Limited and historically in-person betting on spring training in one state did not pose nearly the same integrity risks that widespread betting on spring training in multiple states will pose,” MLB said in part of a statement published by ESPN. Wagering on spring training is minimal, but for Asher and others, the problem is a potential precedent being set. If MLB can request a prohibition on exhibition games, could the NFL do the same for its preseason games or meaningless games in Week 17? This is the first spring training since the Supreme Court overturned a ban in May on sports betting outside of Nevada. Asher and his company have more experience than most at monitoring suspicious activity. This includes state regulators, who have been in the sports betting business less than a year. Booking #MLB spring training games has always been fraught with worry and disputes: thus low limits. Nevada has managed it well for 50 years. If baseball wants to do something constructive, figure out how to make the games less than 3 hours.